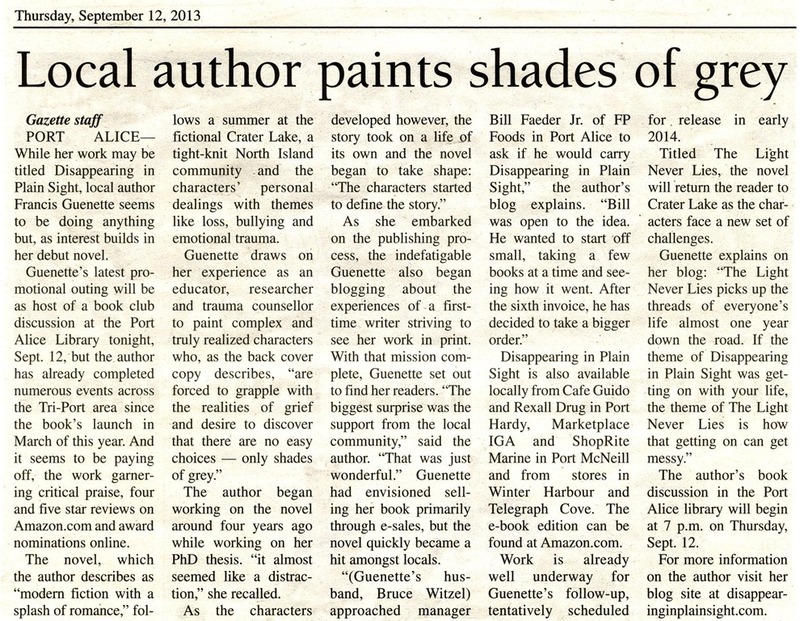 This entry was posted in Author interviews, Book Review, Current Events, Self-Publishing, Writing and tagged local author, North Island Gazette, Northern Vancouver Island, The Light Never Lies, Vancouver Island Regional Library. Fantastic article Francis – congratulations! Wow! Terrific article, Francis! Your mom would be so proud! How great! You’re a local celeb now! Nice article. Way to go. How wonderful; your efforts are worthy of recognition. May it bring well being to others. A big thanks right back at all my wonderful well wishers 🙂 Thanks SmileCalm – I would love to be the agent of spreading around some well-being. Thanks so much for these kind words – not gibberish at all to my ears. We’ve past the I/2 way point on the edits for The Light Never Lies. Lovely to see all your hard work pay off! You are an inspiration to all us aspiring writers out there. I follow your blog and love hearing about the writing process. Congrats on such a fab article! Whoohoo! Thanks for this affirmation, booktrailer 🙂 I have discovered that the whole point of blogging is this give and take that seems to happen as we all stumble along learning and making discoveries and sharing what works and what doesn’t. Whoohoo, indeed. I love it! Congrats, Fran. I had hoped to do a link right to the actual article but in order to read the paper online one must have a subscription. 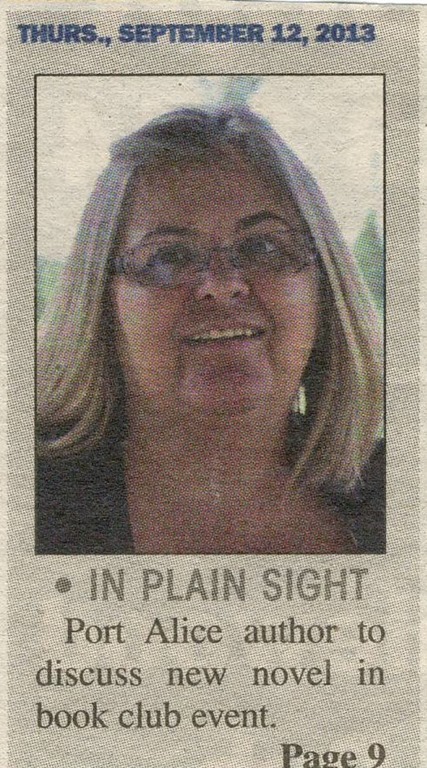 So I did the next best thing – scrapbook style – cut out the article, scan and post. Glad you enjoyed the read. Jealousy makes me laugh because I am so often eaten alive by the green-eyed monster! Thanks so much for the reblog. The highest form of flattery and all.